As Zionists have endeavored to teach the world for decades, Israel is not subject to criticism. Only Jew-haters, anti-Semites, and people who want to gas Jews and boil them in oil criticize Israel. Israel is above criticism, because Israelis are God’s Chosen People and despite being God’s Chosen People suffered the Holocaust. This means that the Israeli government, like the one in Washington, can do whatever it wants and remain above criticism. Since the 1940s Zionists have been stealing Palestine from the Palestinians. The majority of Palestinians have been removed from their homes and their country. They exist in refugee camps in other countries and 1.5 million are concentrated in the Gaza Ghetto, which is blockaded by Israel on one end and by the Washington paid Egyptians on the other. Israel is always the aggressor but always takes the role of the victim. Palestinian women and children are all subhumans–”snakes” as one Israeli politician put it–who sneak into Israel through secret tunnels (whose existence is akin to Saddam Hussein’s weapons of mass destruction) wearing suicide bomb belts and blow up innocent Israelis along with themselves while Israelis sit in cafes peacefully discussing philosophical issues and the latest news. To stop this slaughter of innocent Israelis, Israel has to blow up Palestinian hospitals, schools, and civilian homes and apartment blocks. These unmistakable war crimes, these crimes against humanity are all ignored by the great moral arbiters of the world–the Governments of the West who are shaking their fingers not at Israel but their fists at Russia. Western governments ignore Israel’s war crimes but not all Western peoples comply with this neglect. Many thousands of demonstrators against Israel have been in the streets in South America, London, Paris, Germany, Dublin, and Israel’s own Tel Aviv. http://rt.com/news/175860-london-gaza-protest-march/ But don’t look for much reporting of these demonstrations in the American presstitute media. The American presstitute media is focused on those who died in the downing of the Malaysian airliner in eastern Ukraine, in order to blame those 290 deaths on Russia. As far as the American presstitute media is concerned, the murder of 1,200 Palestinian deaths is not happening or if it is, the Palestinians deserve it for responding to Israel’s oppression by firing in frustration primitive rockets that seldom, if ever, hit their targets. 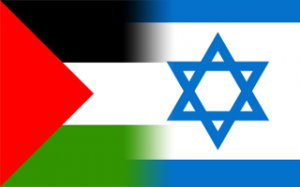 What are another 1,200 murdered Palestinians? Who cares? Not Washington or the British PM in Whitehall and certainly not the Israelis. As far as Israel and the Great Moral West is concerned, 1,200 murdered Palestinians amount to nothing. They are not even chafe in the wind. The last time Israel attacked the civilians in Gaza, a distinguished Israeli jurist, himself a Zionist, prepared a case for the UN that Israel had committed war crimes. On Israel’s orders the craven but very obedient US Congress passed a resolution denouncing the distinguished jurist for defaming the pure and innocent Israeli government. The pressure from Washington and Israel on the jurist broke his commitment to truth, and he retracted his findings. This is what the Israel Lobby and the craven American presstitute media do to everyone who criticizes Israel’s crimes against humanity and Washington’s protection of Israel’s crimes. Anytime you see a person attacked by the Israel Lobby, you know for certain that the person under attack is the salt of the earth. The distinctive mark of a moral human being is to be attacked by the Israel Lobby and the presstitute American media. While Israel murders Palestinians in Gaza with attacks on hospitals, schools, and civilian apartment blocks, Washington and its puppets in Kiev attack civilians in apartment blocks in the former Russian provinces of Ukraine who object to Washington’s overthrow of the democratically elected government in Ukraine and Washington’s installation of a Russophobic Russian-hating government in its place. David Ward, a member of the British Parliament, who has the right as a British citizen and member of Parliament to express his opinion, said that if he lived in Gaza under Israeli oppression, he would likely fire a rocket into Israel. The Liberal Democrats of which Ward is a member “utterly condemned” Ward’s remarks and declared that Ward would be subject to disciplinary hearings and may permanently be expelled from the party. There you have it. A member of Parliament in the country that invented freedom of speech expresses an honest opinion, and he is dead meat. Ward’s harmless remarks killed no one. The Israelis with weapons supplied by Washington has, at this time of writing murdered more than 1,200 people. But it is Ward who must be restrained, not Israel. Ward’s remarks are declared “vile and irresponsible” but not Israel’s murder of 1,200 people. The US and UK pretend to be countries that are not afraid of the truth, where there is free inquiry and freedom to express one’s views, but it is all a great lie. The US and UK are the two greatest threats to free speech on the face of the earth. In the UK no truth contrary to the line is permissible. In the US people who speak the truth are put on the Watch List. How much longer will the governments of the rest of the world regard the US and UK as homes of free speech and uplifting Western morality? In America the success of Israeli propaganda, never challenged of course by the US media, exceeds the success of Washington’s own propaganda. Most Americans believe that Palestinian women and children are outfitted with explosive suicide belts and that “the snakes,” as they are described by Israeli politicians, walk into Israeli cafes and blow everyone up including themselves. The fact of the matter is that Palestinians cannot get into Israel. Gaza is blockaded as are the few remaining Palestinian settlements in the West Bank. Israel has stolen almost all of Palestine. The few Palestinian settlements still permitted to exist are cut off by a massive wall from Israel and from each other by barbed wire and checkpoints, cut off from hospitals and schools, from water, and from their fields and olive groves, which are being destroyed to make room for settlers‘ apartment blocks. People this hemmed in are helpless, and the extreme right-wing Israeli settlers are moving into the few remaining Palestinian settlements evicting the Palestinians from their properties with the aid of US-provided Caterpillar tractors especially designed for uprooting Palestinian olive groves and demolishing Palestinian houses, just like the Caterpillar tractor that the Israelis ran over US citizen Rachel Corrie, murdering this protesting US citizen in cold blood. Yes, you are correct, the Great Moral US government did nothing about it. Israel learned when it murdered the crew of the USS Liberty in 1967 that Israel had carte blanche from Washington to murder US citizens. When you view the photos of Palestinians who have undergone an Israeli attack, what do you see? You see unarmed people crying, hugging dead children in their arms and one another. You never see a resolute armed people prepared to repel the next Israeli attack. You see devastated hospitals, schools, and apartment complexes and Palestinians in tears and no weapons. What is striking about the success of Israeli propaganda is its success when all evidence is that Palestinians are pacifists, incapable of resistance. The bulk of the people in Gaza are refugees from the West Bank where their land and homes were stolen by the Great Democratic State of Israel. The Israeli destruction of Palestine has been going on for almost seven decades. And still Palestinians are not armed and have no effective military units. After seven decades the Palestinian people remain unarmed. Hamas has a few ineffective weapons, but the people themselves are unarmed. Their response to the Israeli murders of their children, wives, husbands, brothers, sisters, parents, cousins, and friends is to cry. This is not the response of a warlike people. In contrast, there are reports that Israeli civilians sit atop the hill overlooking Gaza on sofas that they bring along with their drinks and food and watch in glee, clapping and cheering as Israeli bombs destroy Palestinians in their homes, children in their schools, and the ill in hospitals. If this is the true face of “the only democracy in the Middle East,” it is the face of evil. The view brainwashed into the West that Palestinians are a threat to Israel is absurd. If Palestinians are a threat and a danger to Israel, how is it possible that Palestinians are locked away into sealed ghettos in the remnants of their own country or into refugee camps in foreign countries? As Israel’s most distinguished historian, Ilan Pappe, has related, the story of Israel is the story of “The Ethnic Cleansing of Palestine.” This story has been hidden by Western “moral” governments and by a corrupt Western media and “Christian” priests from Western populations that, possibly, would have objected, but who are now too brainwashed and disinformed to know.